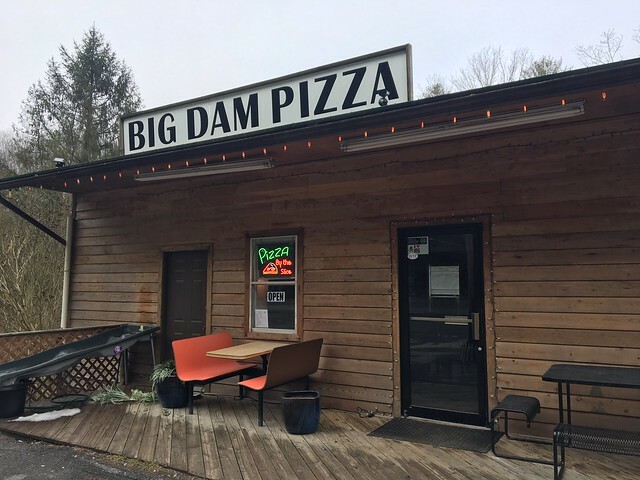 Big Dam Pizza is a relatively new pizza joint in Fayetteville that is known for, well, some pretty damn big pizza. 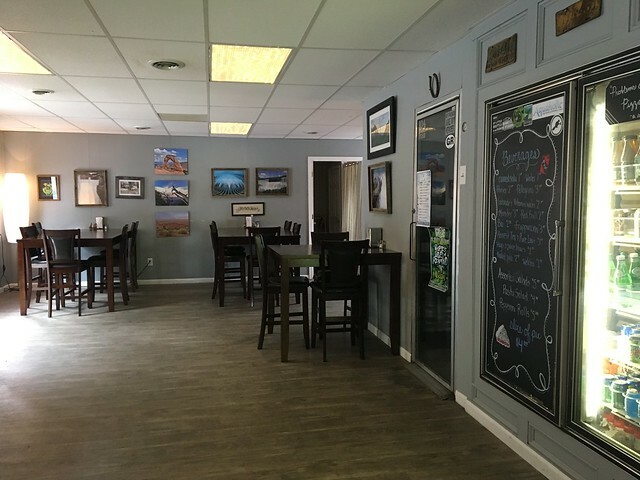 The space is not huge - despite the size of the pies - but it wasn't busy. 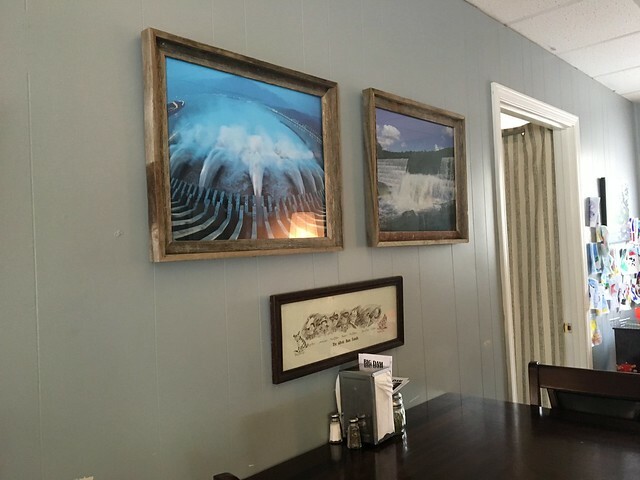 The restaurant is decorated with images of dams. 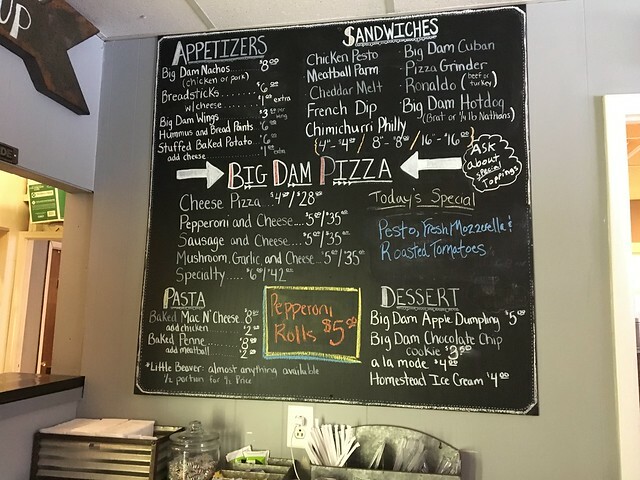 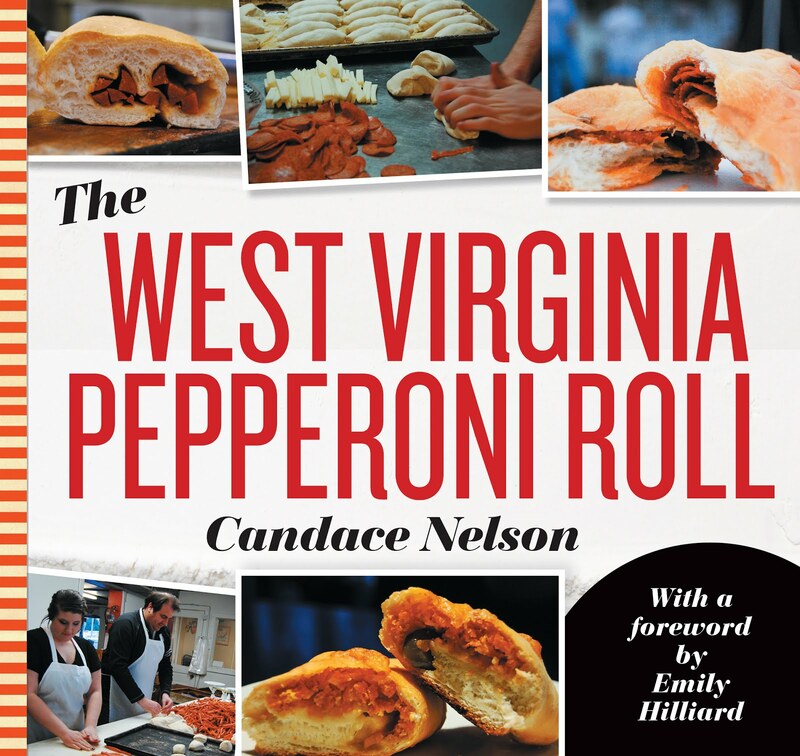 The menu features their signature huge slices, as well as some other yummy sounding items - pepperoni rolls, mac & cheese, Big Dam Hotdog, Big Dam Cuban, wings and hummus. 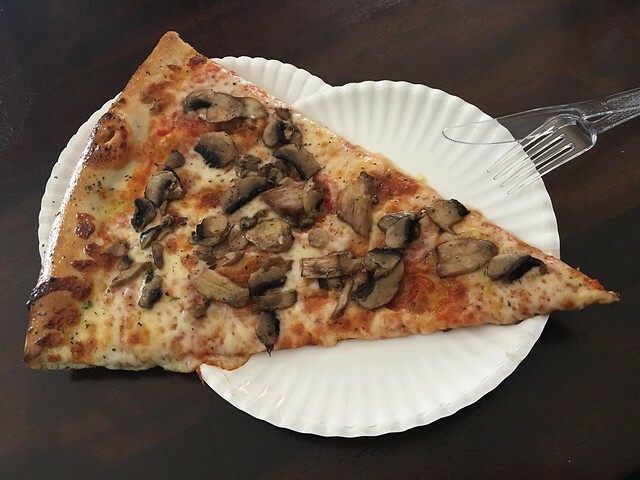 Slice with mushrooms and garlic - easily as big as two slices! 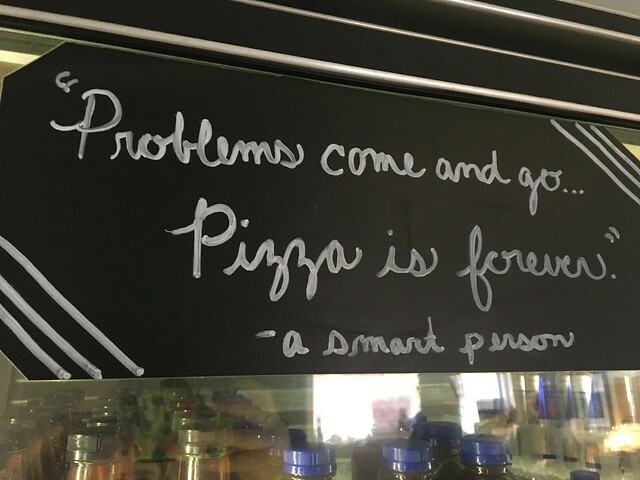 Maybe three.